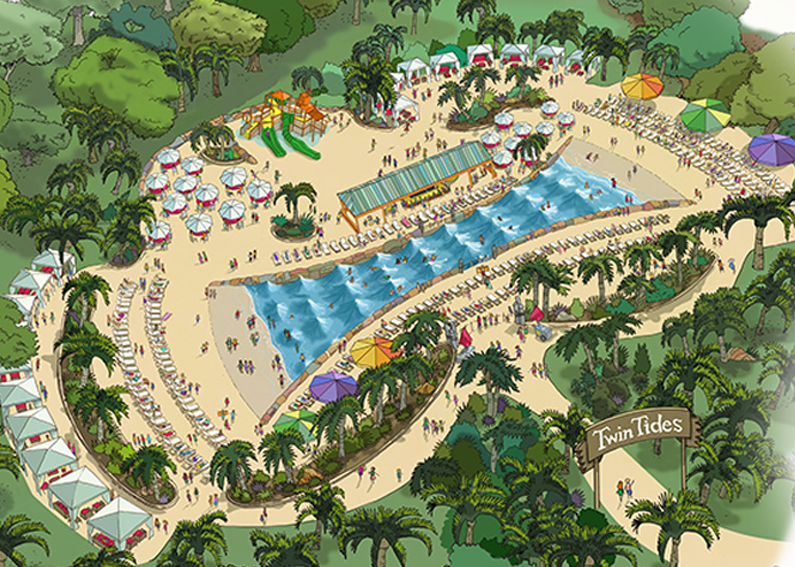 KIDS WAVE POOL & FAMILY FUN DESTINATION IN ONE. 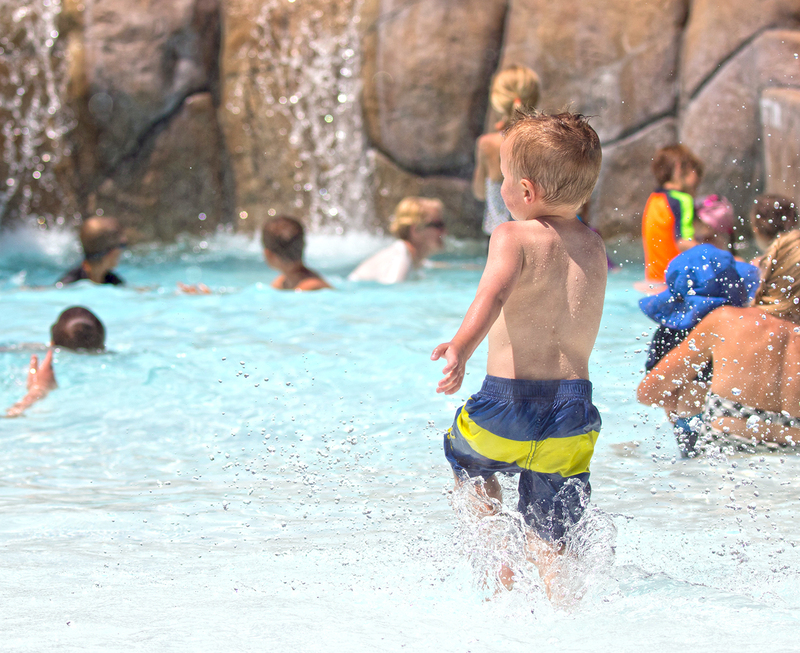 Create the perfect wave pool attraction, shrink it down to toddler-size, add innovative amenities that appeal to both kids AND adults, and you’ve got ADG’s Mini Harbour®! 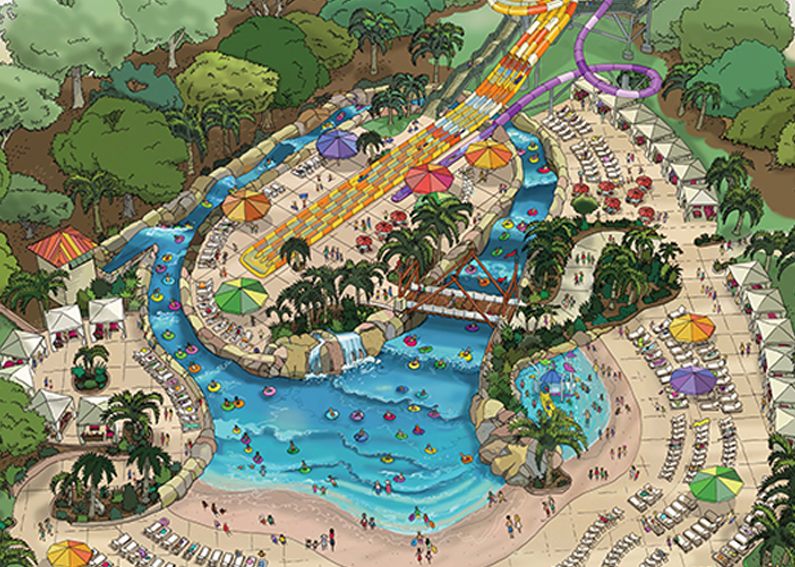 Designed with maximum family appeal in mind, it will quickly become the favorite spot in your park for sustained family fun and entertainment. 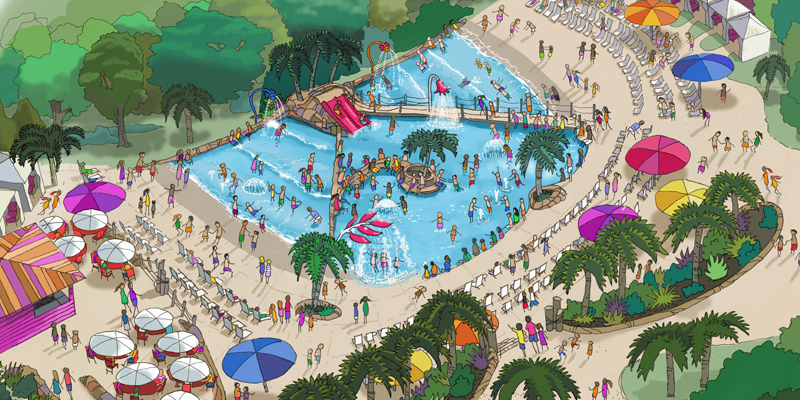 Active and passive play features come together perfectly in this unique kid focused, family-centric, shallow-depth multi wave pool attraction. With 2ft waves throughout, kids can jump, play and splash the time away while parents watch from the comfort of wide, low-set seating that intersects throughout the entire ride creating the perfect ocean oasis ~ designed for kid sized fun and adult sized comfort! Add on additional aquatic play features, tie in a themed play structure and you’ve got a truly one-of-a-kind attraction to set your property apart. 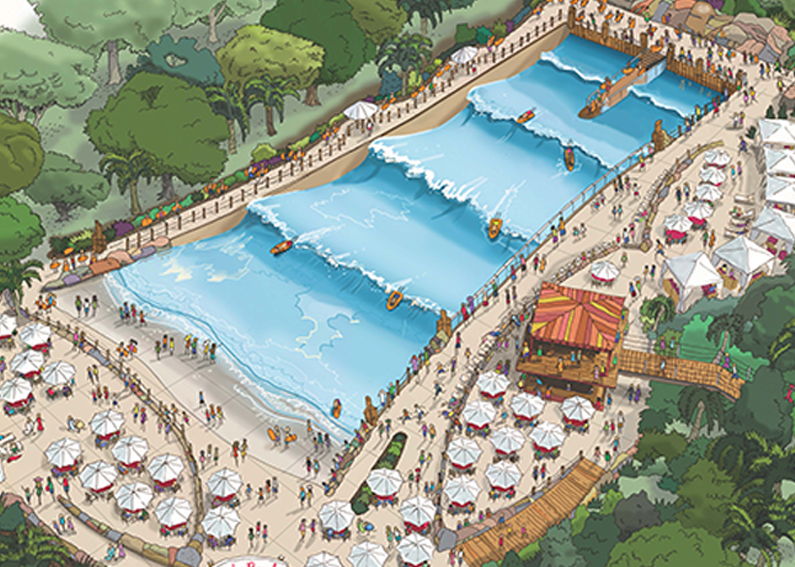 Our Redefining Rides concept extends well beyond the edge of our multiple mini wave pools at Mini Harbour®. 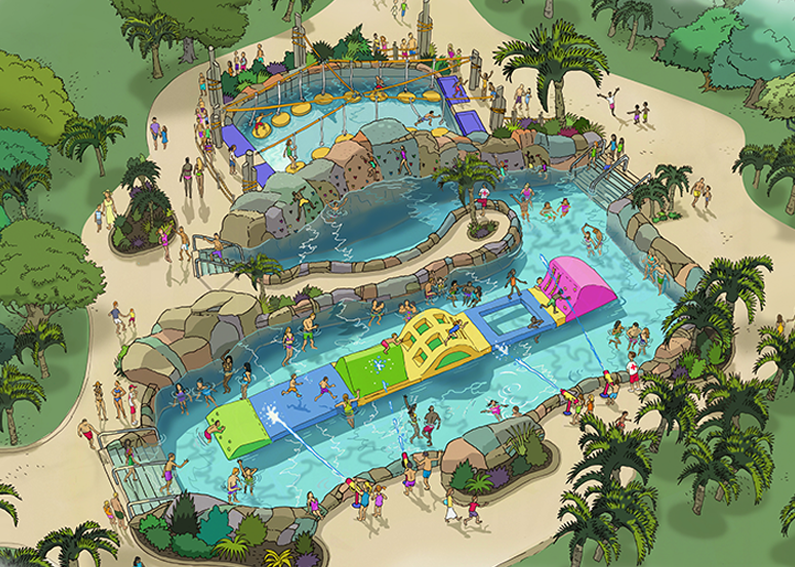 Included are all the necessary amenities that allow you to create the perfect setting for a full day of family focused fun. With easy access to child friendly F&B and retail outlets, plus ample space for cabanas, deck chairs and lounges, Mini Harbour® becomes the ideal home base destination where families are happy to spend the day. More time spent on property, more incidental purchases… can you say ROI! 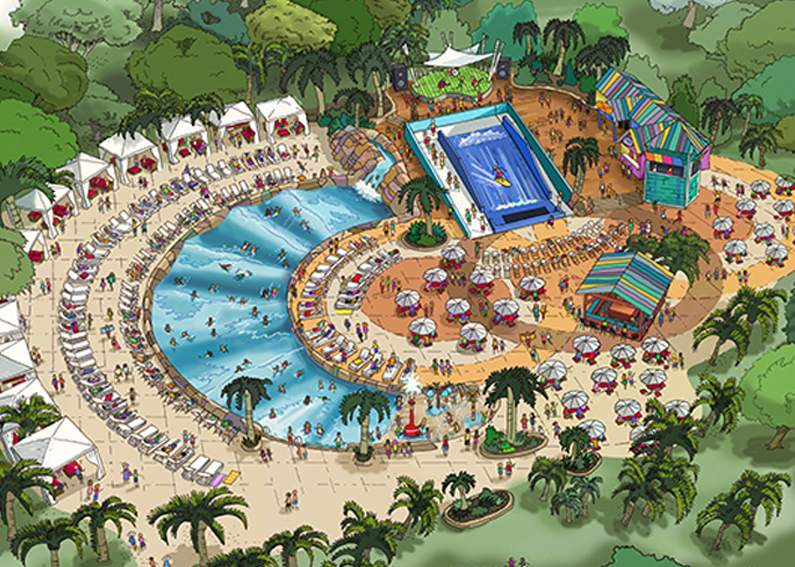 Water World built Mini Harbour as a toddler friendly addition alongside their Breaker Beach® Boogie Boarding surf ride and created “Cowabunga Beach”, a complete family destination setting with cabanas, shaded seating, lounge areas and F&B. And the results have far exceeded expectations!